ABM Air Conditioning & Heating, Inc. was founded in 1969 on a simple three point premise: Good work, Good Service, Good Pricing. That premise worked for us then, and it works for us now. 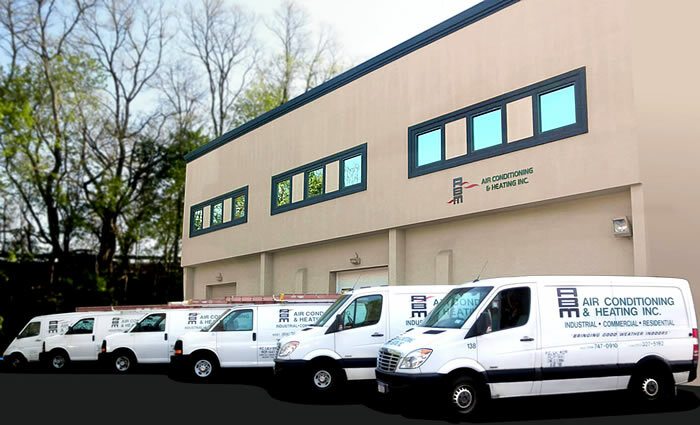 It has remained the foundation of ABM's philosophy as we have grown into one of the leading HVAC companies in the tri-state area and expanded into the related fields of building controls and indoor air quality. Good work, good service, and good pricing have attracted customers of every type and size to us. Today, we count many major corporations among our valued clients. But true to our beginnings, we provide the same care and attention to our residential and small business customers as to these major commercial and industrial corporations. When it comes to heating, ventilating, air conditioning and associated services, the people at ABM do it the right way, with quality workmanship and personalized service. That's how we've been doing it since 1969.